It should be no surprise that a CNN report on alleged abuses and corruption in the AbilityOne employment program and in the contracting procedures followed by the nonprofit implementer of AbilityOne, SourceAmerica, appeared as the nation is celebrating the 25th anniversary of the Americans with Disabilities Act. As the author of the ADA, former senator Tom Harkins (D-IA), said in his final speech from the floor of the Senate, little progress has been made over the past quarter century in the employment of persons with disabilities, with some 60 percent of persons with disabilities who want to work unable to find jobs. It shouldn’t be surprising them that earlier this week, hundreds of people marched to Capitol Hill in an ADA rally organized in part by the National Council on Independent Living, some of them holding signs that read “Shame on SourceAmerica,” others demanding increased transparency in the AbilityOne program, and still others looking for enhanced program accountability. 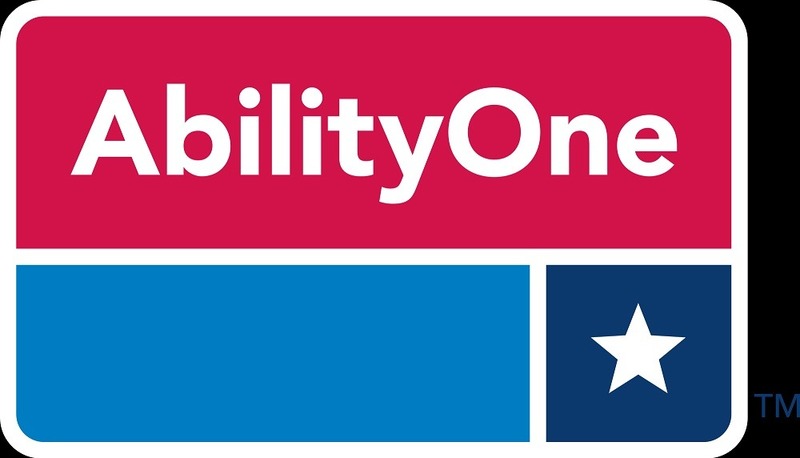 It isn’t difficult to imagine that the vast majority of nonprofits working on AbilityOne contracts are committed to doing right by the law and by the persons with disabilities that they hire for government contracts. But the structure of the AbilityOne program, as revealed both by the CNN report this week and the GAO report from two year ago, is an open invitation to entities that might be motivated to play the game fast and loose. In its report, the GAO’s findings constitute a template for inadequate controls and almost unavoidable corruption. That devastating GAO report was issued in May of 2013, more than two years before CNN’s crack investigative team headed by Drew Griffin unveiled a report that the AbilityOne work program and one of the two CNAs, SourceAmerica, were “mired in widespread corruption, financial fraud and violations of the law,” and under investigation by at least four Inspectors General—from the General Services Administration, the Department of Defense, the Veterans Administration, and the Department of State, apparently being led by the State OIG. Why four? Because as the two-year-old GAO report pointed out, there is no one Inspector General in the federal bureaucracy with clear authority over the AbilityOne program and the two nonprofits that operate the program on behalf of the federal government. Not surprisingly, with this kind of fall-in-the-cracks oversight that doesn’t leave any one federal agency in a position to fully and effectively keep an eye on AbilityOne, the Justice Department has begun its own investigation, and that’s the kind of investigation that usually points to more than just the mismanagement findings in an IG’s report. However, what it also points to, regardless of whether SourceAmerica has done something wrong or not, is an inadequate, haphazard system of government monitoring and oversight that may be at the root of what CNN has uncovered. More often than not, instances of perceived systemic nonprofit mismanagement have their roots in systemic problems in the government’s regulatory due diligence capacities and practices. The investigations suggest, according to CNN, that “as many as half the companies contracting with SourceAmerica under AbilityOne may be operating in violation of the law, without enough severely disabled employees.” That is a charge that has come up before in other situations with the AbilityOne program, though, like the CNN report, they are allegations of wrongdoing, not legal decisions conclusively finding illegal behavior. Earlier this year, for example, a SourceAmerica counsel was fired when she was secretly recorded acknowledging bid-rigging for a $15 million contract for cleaning and maintaining the Portsmouth Naval Medical Center in favor of nonprofits that had close relationships with SourceAmerica board and staff members; on the recording, she referred to the preferred companies as the “favored children,” the “club” and the “mafia.” Responding to Virginian-Pilot’s reporter Scott Daugherty, a SourceAmerica spokeswoman declined to comment on any of the allegations against the AbilityOne CNA or even on the GAO report’s call for improved government oversight. 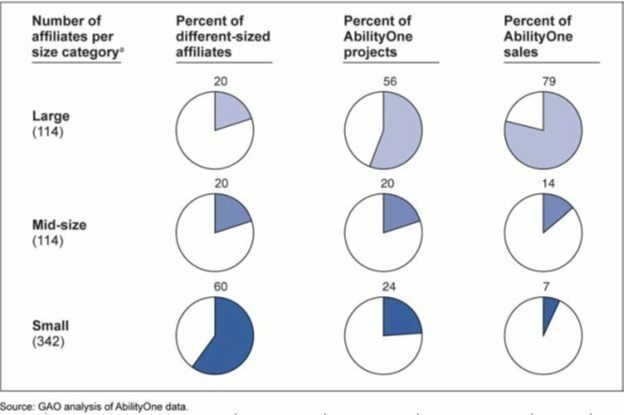 The GAO report gave the numbers: the largest nonprofit affiliates participating in the AbilityOne program constituted 20 percent of all of the affiliates but got 56 percent of AbilityOne projects accounting for 79 percent of AbilityOne sales. If government is going to give a break to smaller organizations, the effort must be intentional, else, like much of government activity, scale begets scale. While it doesn’t look good to see entities that are represented on the SourceAmerica board or have other relationships with SourceAmerica leaders scarf up the lion’s share of contracts, government has to take the lead in making sure that smaller entities are given a boost in the competitive process. Given the explicit analysis in the GAO report on the challenges facing smaller organizations competing for AbilityOne contracts, that boost hasn’t happened. Congressional fixes: Beutel actually worked on government acquisition policy for Rep. Darrell Issa (R-CA) at the House Committee on Oversight and Government Reform for more than four years, and worked with other congressional committees going back to 2005, including the Small Business Committee. The GAO report in 2013 was actually sent to Darrell Issa as the then chairman of the committee and Rep. Elijah Cummings (D-MD) as ranking member with explicit recommendations regarding giving smaller nonprofits help with competing against the behemoths, improving government oversight of the AbilityOne Commission and the CNAs (at that time, SourceAmerica was called “NISH”),and much more that seems to be specifically relevant to the issues that CNN has reported on. The report called on Congress to establish an IG with the authority to conduct audits on AbilityOne and its nonprofit contractors and called on the AbilityOne Commission to undertake specific actions regarding program accountability. The missing part of the CNN investigation is a look at the congressional torpor that, despite being armed with a GAO report, ended up with no congressional action to take steps to increase program and contractor accountability. CNN described the AbilityOne Commission as presidential appointees who function as a “rubber stamp” for all SourceAmerica’s recommended contracts. As we have often seen, too many government commissions are less than bastions of hard work and energy. CNN should be digging into why the oversight of AbilityOne from Congress has led to a situation of numerous allegations, a four-IG investigation, and an inquiry from the Justice Department. The implication of the CNN findings is that the AbilityOne program relies on self-regulation from SourceAmerica regarding the 75 percent disabled employment threshold compliance of the nonprofits it places into government agency contracts. That’s consistent with the GAO finding, as is the observation that there is no penalty to contractors for falling out of compliance. The fixes are obvious. The congressional response to the GAO report is obvious too—pretty inadequate. Board structure: There are people serving on the SourceAmerica board who are senior executives with some of the organization’s prime nonprofit subcontractors, including the Arc, Goodwill Industries, and United Cerebral Palsy, just to name a few. Do these board members funnel contracts to their own organizations? SourceAmerica said no, in a statement it gave CNN: “No one involved in making award recommendations to the commission is employed by an organization seeking those contracts,” read the statement sent to CNN. “We want to be very clear, SourceAmerica board members are not involved in the evaluation of contract bids or recommendations to the AbilityOne Commission.” While there is no reason to disbelieve a contention that such board members recuse themselves from such decisions, it’s hardly like the rest of the board doesn’t realize who their board colleagues are. When the beneficiaries of a nonprofit organization serve on the group’s board of directors, recusal or not, it doesn’t look good to IGs and the public. In light of the sub-contracting questions contained in the recent Red Cross scandal, this appears to be a time when nonprofit contractors to government should look to closing any laxity in their own processes. At the same time, government programs structured to deliver inadequate oversight, potentially abetting subcontracting problems such as those reported by CNN about AbilityOne and SourceAmerica, are also at fault—as are the Congressional oversight committees that receive detailed GAO reports outlining the problems but take minimal or no corrective actions. A shocking indictment at the Chicago Public Schools contains implications for school privatization, for Mayor Emanuel, and for nonprofits that inadvertently find themselves with a corrupted individual on their board of directors.